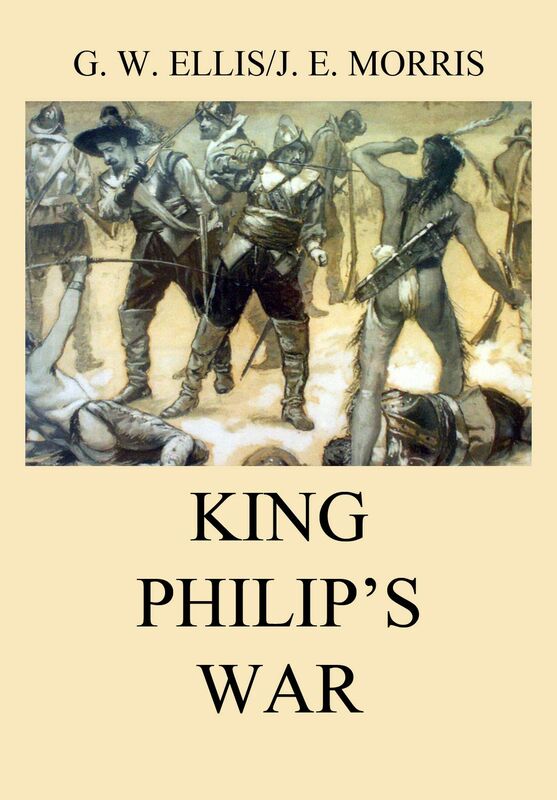 King Philip’s War – Ellis/Morris. The period of the Indian war of 1676, known as King Philip’s war, is one of the most interesting in the early history of the New England colonies. It was the first great test to which the New England Commonwealths were subjected, and it enforced upon them in blood and fire the necessity of a mutual policy and active cooperation. The lesson that union is strength was learned at that time and was never forgotten. New England, after the war, free from fear of any Indian attacks, was able to turn her attention to her own peaceful industrial and political development undisturbed. King Philip’s War (sometimes called the First Indian War, Metacom’s War, Metacomet’s War, Pometacomet’s Rebellion, or Metacom’s Rebellion) was an armed conflict in 1675–78 between American Indian inhabitants of the New England region of North America versus New England colonists and their Indian allies. The war is named for Metacomet, the Wampanoag chief who adopted the name Philip because of the friendly relations between his father Massasoit and the Mayflower Pilgrims. The war continued in the most northern reaches of New England until the signing of the Treaty of Casco Bay in April 1678. Massasoit had maintained a long-standing alliance with the colonists. Metacom (c. 1638–1676) was his younger son, and he became tribal chief in 1662 after Massasoit’s death. Metacom, however, did not maintain his father’s alliance between the Wampanoags and the colonists. At Taunton, Massachusetts in 1671, the colonists insisted that the peace agreement include the surrender of Indian guns; then three Wampanoags were hanged for murder in Plymouth Colony in 1675. Metacom’s followers and allies launched a united assault on colonial towns throughout the region. His forces gained some victories in the first year, but then the Indian alliance began to unravel. By the end of the conflict, the Wampanoags and their Narragansett allies were almost completely destroyed. Metacom fled to his ancestral home at Mt. Hope, where he was finally killed by the colonial militia. The war was the single greatest calamity to occur in seventeenth-century Puritan New England and is considered by many to be the deadliest war in the history of European settlement in North America in proportion to the population. In the space of little more than a year, 12 of the region’s towns were destroyed and many more were damaged, the economy of Plymouth and Rhode Island Colonies was all but ruined and their population was decimated, losing one-tenth of all men available for military service. More than half of New England’s towns were attacked by Indians. King Philip’s War began the development of an independent American identity. The New England colonists faced their enemies without support from any outside government or military, and this gave them a group identity separate and distinct from Britain. Dieser Beitrag wurde unter American History (English), Massachusetts veröffentlicht. Setze ein Lesezeichen auf den Permalink.